Ceramic wall tiles inspired by the beauty of Calacata marble. Calacata gives the elegance of the purest marble in this superbly decorative ceramic collection. The Calacata tile has a white hue with grey veining giving a truly attractive finish. 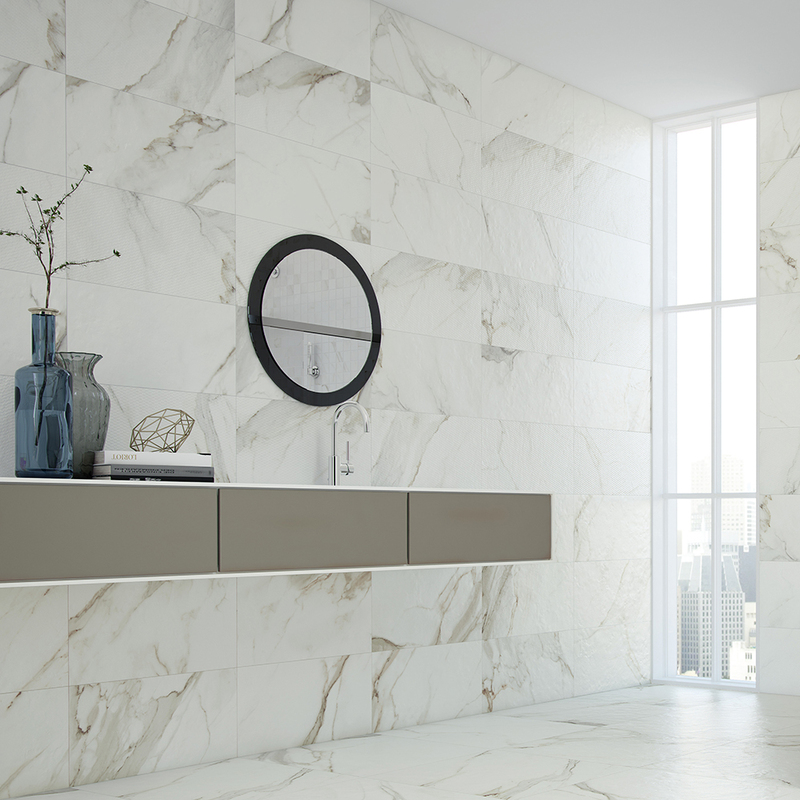 This sophisticated and luxurious tile captures the effect of marble but without the requirement of sealing. The crisp, clean finish is ideal for creating a stunning, continuous effect and the subtle veining combined with a matt finish means that a luxurious aesthetic is guaranteed. 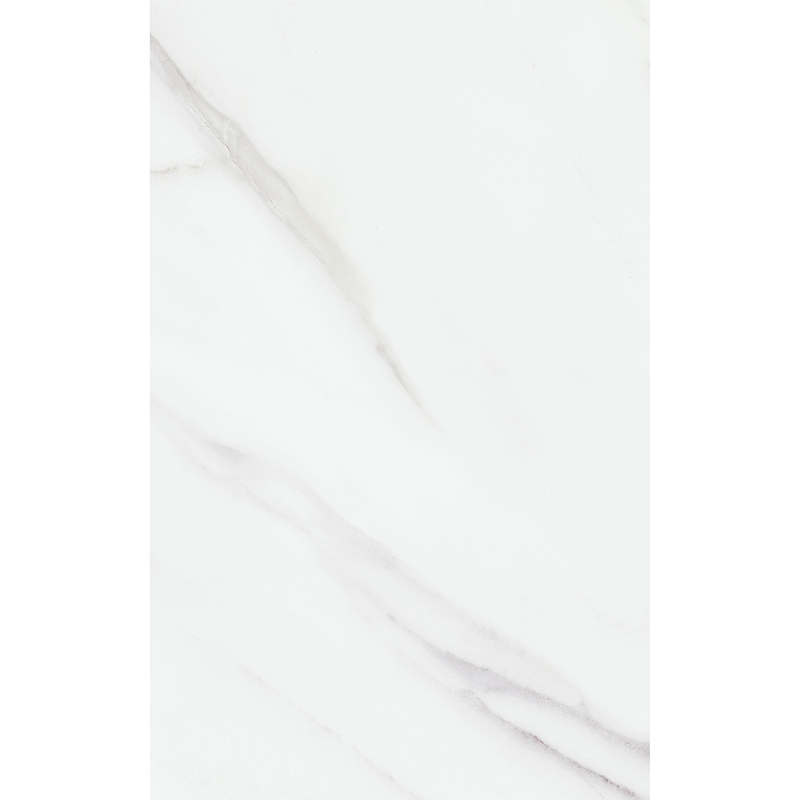 Calacatta wall tile is suitable for bathrooms and wet-rooms; the attractive matt finish and due to the subtle veining we recommend ordering a full size sample as the veining may be difficult to appreciate on a 100mm cut sample. Purchase Calacata Marble effect tiles at New Image for a stylish white/grey marble in a matt finish. Order a sample or buy online today!